The Wetlands of As Gándaras , a space that the project LIFE Lugo + Biodinámico is recovering, had a special role this past February 2, World Wetlands Day. 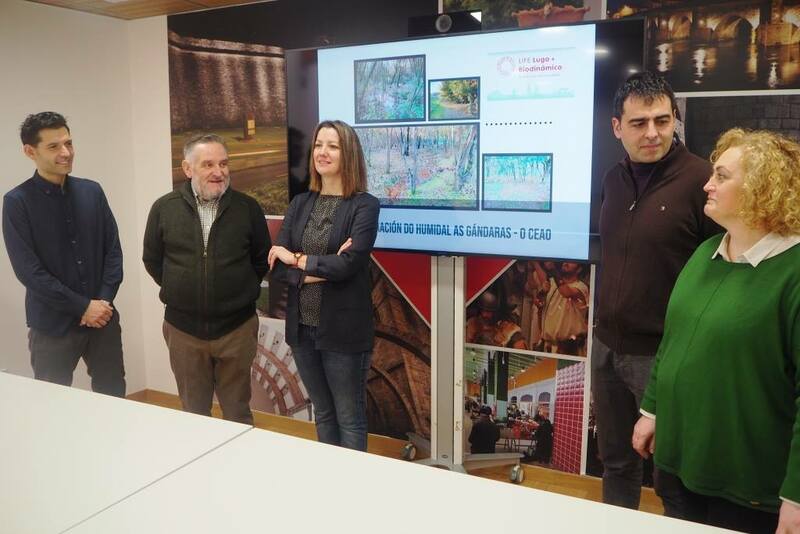 On this date, the Concello de Lugo declared that it will take the proposal for obtain recognition as a Natural Area of ​​Local Interest for this space. The announcement was made by the Mayor of Lugo Lara Méndez, accompanied by the Concelleiro de Desenvolvemento Sostible, Daniel Piñeiro, the Deputada Provincial of Promoción Económica e Social, Sonsoles López Izquierdo, the professor of the USC Antonio Rigueiro and Marco Rubinos, from the management of the project LIFE Lugo + Biodinámico. The As Gándaras Wetland will be, in this way, the second ENIL of the province of Lugo , together with the ENIL of Loio Ruxidoira, in Paradela. The importance of this news and the special emphasis on the protection of this space lie in the characteristic landscape of the area of ​​As Gándaras, which has riverbank forests, with a high plant and animal biodiversity concentrated in a small area, which it confers a high environmental, landscape and social value to be preserved. This announcement will also promote all the recovery and signage tasks that are contemplated between LIFE project actions.